There are restaurants at every corner in a city like Bangalore, but they are never easy to run. Governments make the lives of restaurateurs more difficult in a million ways. Banning 'dance bars', regulating signboards or controlling liquor licenses make dining out more expensive for customers, create uncertainty for businesses and put jobs at risk. 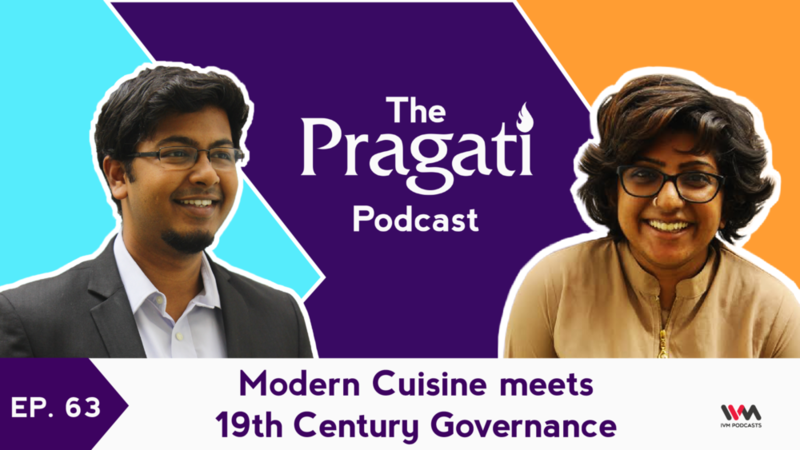 Chef extraordinaire Manu Chandra and Pragati's own Madhu Menon join host Pavan Srinath on episode 63 of The Pragati Podcast. Manu also heads the Bangalore Chapter of the National Restaurant Association of India The episode focuses on Bangalore and its unique challenges and opportunities, but the story is not too different in other states and cities. Visit www.thinkpragati.com for your daily dose of brain fodder, and write in to podcast@thinkpragati.com with any questions and comments..